Legend Larry’s Bacon BBQ wing sauce is not the first bottle of sauce I’ve tried from Legend Larry’s. And it won’t be the last, either. Every flavor is just spot-on fantastic. Some are mild, some are hot and some are very hot. Bacon BBQ is somewhere in the middle the heat scale, combining a great smoky BBQ sauce with bacon deliciousness. No doubt it’d be fantastic on pulled pork or ribs, too, but for me, it’s a winner-winner on wings. I’m a wing addict. I often find myself just staring at the pics of the wings I’ve made. 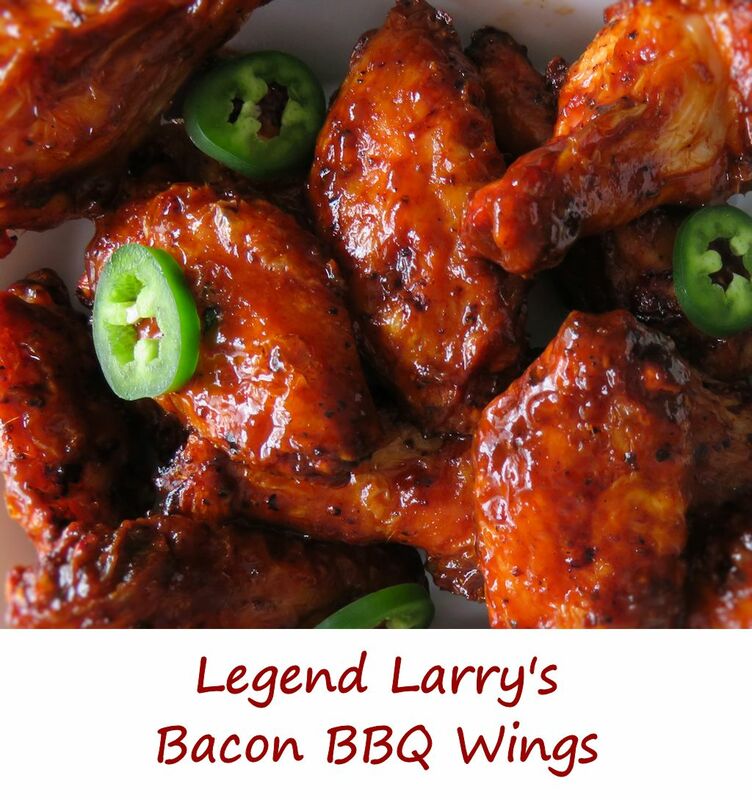 Wings tossed in Legend Larry’s Bacon BBQ sauce are a good example. Just look at that up there. Each and every bite nothing but delicious. That’s why I love wings so much. Also try Legend Larry’s Hot Garlic Wings. This entry was posted in Chicken Wings and tagged bacon BBQ, bacon BBQ wings, bbq bacon wings, legend larry's, Legend Larry's Bacon BBQ Wings, Legend Larry's chicken wings, recipe by Mike. Bookmark the permalink.